​How dangerous is the current confrontation between Russia and the West? 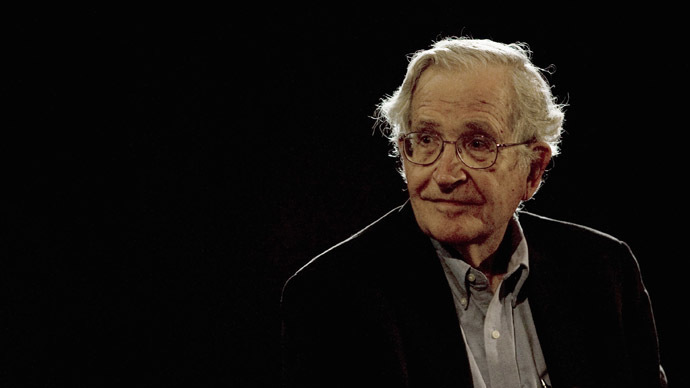 Noam Chomsky believes that NATO expansion and US quest for hegemony has put the world in a situation so unstable where any accidental interaction could result in a nuclear war. The “new NATO” that emerged after the Soviet Union collapsed is basically a US-run intervention force, with a completely different mission as compared to the original, Chomsky tells RT’s Sophie&Co. With no more “Russian threat”, the natural conclusion in the 90s would be to disband the alliance, but instead the opposite happened – against all agreements NATO expanded all the way towards the Russian borders. In the worst case scenario the current international instability, especially with tensions between US and Russia resembling a new cold war, could result in a nuclear war, in which all parties that initiate it would be eliminated. “And it’s come ominously close several times in the past, dramatically close. 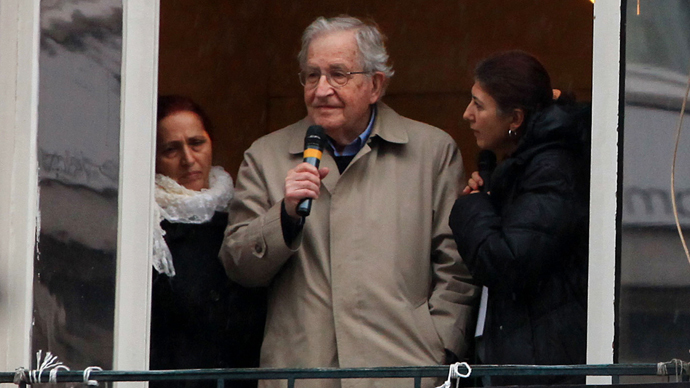 And it could happen again, but not planned, but just by the accidental interactions that take place,” Chomsky said. “There have been many cases, not that serious, but pretty close, where human intervention with a few-minutes choice has prevented a nuclear war. You can’t guarantee that’s going to continue." With its efforts to isolate Russia through confrontation and sanctions, the West instead pushes Moscow closer to the East, towards closer relations with China. 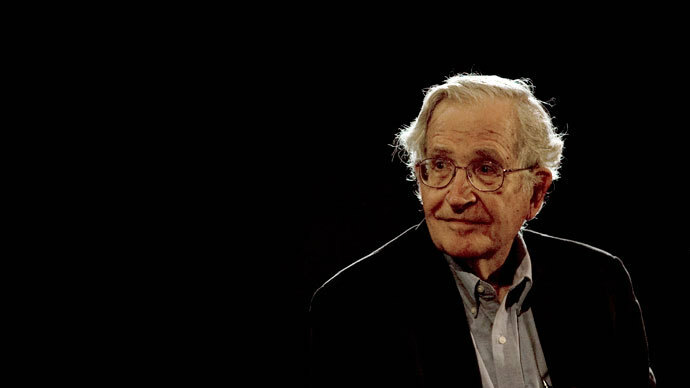 The peak of American power in history was around 1945, Chomsky says, when the United States owned half of the world’s wealth and American leaders were designing and organizing a world system that would benefit the US corporate system. “The origins of multi-national corporations began to develop at that time... And there were detailed plans for assigning to every part of the world, what was called, a function within the global system,” he says, although adding that plan began to collapse very quickly. 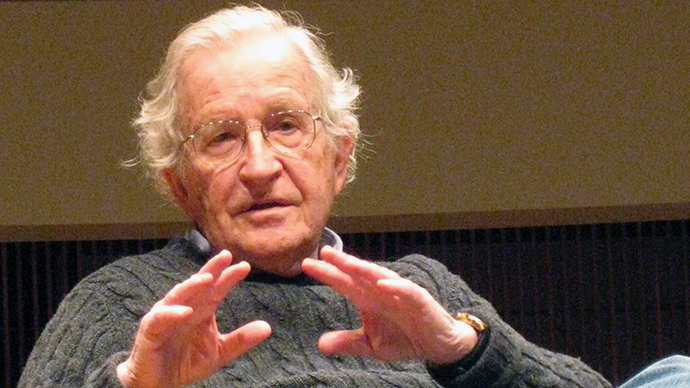 US actions in the Middle East region, including the invasion in Iraq, have created the circumstances, under which ISIS emerged, Chomsky believes. “What happened is the US basically hit Iraq with a kind of sledgehammer,” instituting a governmental structure, which was sectarian in nature. “A law-abiding state would go to the Security Council, ask for a declaration by the Security Council of a threat to peace, and request the Security Council to organize direct response to it. And that could be done. The US could then participate in it, but so could Iran,” which is a major military force and would probably wipe out ISIS in no time, if it was allowed to join the fight on the ground, Chomsky believes. 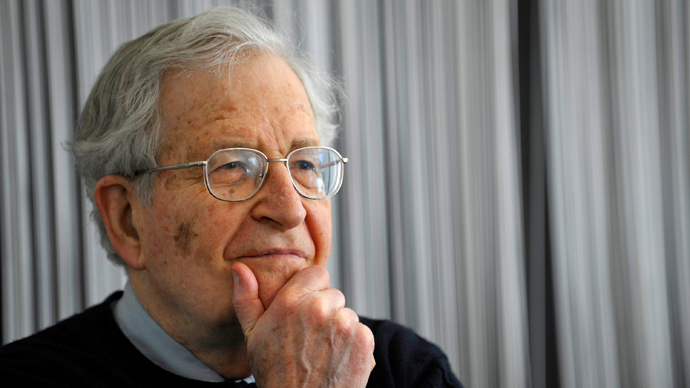 The US is far and away the technologically most advanced country in the world, so the spying is “more extensive in the United States.” Although Edward Snowden made a major contribution by exposing NSA methods to the world, there’s a long way to go, Chomsky said.